An in-depth guide to all aspects of lawn care. This spray-on starter fertiliser will boost the development of root systems and promote early turf growth. This premium product will also feed your lawn and help drought-proof it. 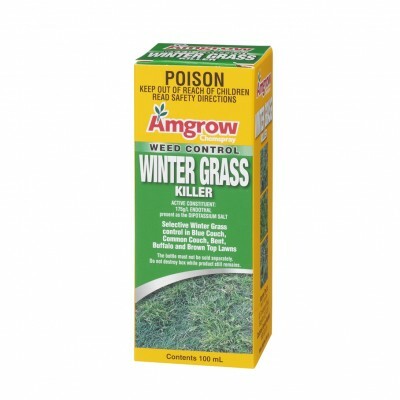 Control the spread of Winter Turf in your lawn with this selective herbicide from Amgrow.